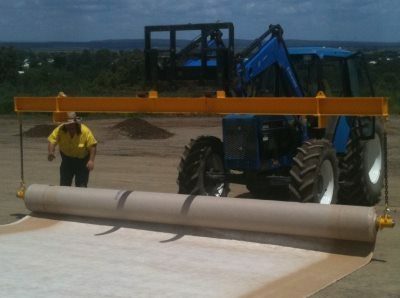 What are Geosynthetic Clay Liners? Geosynthetic clay liners (GCLs) are manufactured liners consisting of two needle punched geotextile layers encapsulating a layer of sodium bentonite for sealing applications. Our geosynthetic clay liner, Bentofix® is a shear strength transmitting geosynthetic clay liner. The product consists of a high quality sodium bentonite powder encapsulated between an upper and lower layer of geotextile. The Bentofix® products are continuously needle punched through all components and then will be subject to some controlled heat treatment such that the fibres are effectively "thermally locked" in place to obtain high long term shear strength. Global Synthetics provides the Bentofix® Geosynthetic Clay Liner (GCL) in a range of product offerings. 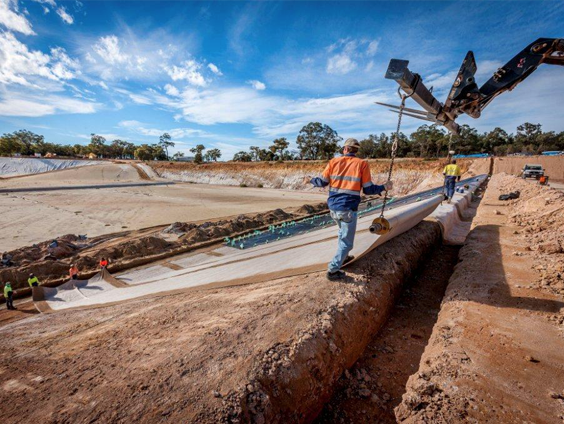 Geosynthetic Clay Liners are a well accepted method of providing a clay/geotextile encapsulated product, therefore replacing the need for extraction and transportation for clay layers in landfills, dams, landfill capping closures and similar containment structures. Recent developments in the Bentofix® range include the use of a polymer coating which is applied to the Bentofix® GCL to further improve the range of applications and performance. 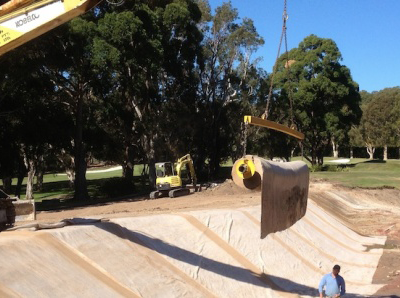 Bentofix® Geosynthetic Clay Liner has been successfully installed throughout Australia for over a decade. Millions of square metres of Bentofix® product continues to effectively contain potentially hazardous wastes across Australia. Recent product innovation has led to a unique coated product which combines all the proven benefits of the Bentofix® Geosynthetic Clay Liner with a speciality polyethylene extruded coating directly applied during the manufacturing process. These products are known as Bentofix® X2 NSP4900 and X5F NSP4900. Bentofix® is an extremely versatile clay-based lining product. Once hydrated, Bentofix® is an effective barrier against liquids, vapours, and gases. Polyethylene has a remarkable and proven history of high resistance to chemical attack from many leachates found in landfill applications. Additional product features include a range of applied coating thicknesses ensuring extremely low hydraulic conductivities. A unique optional texturing pattern ensures high interface friction values that assist in overcoming potential instability issues of the GCL on steep slopes. 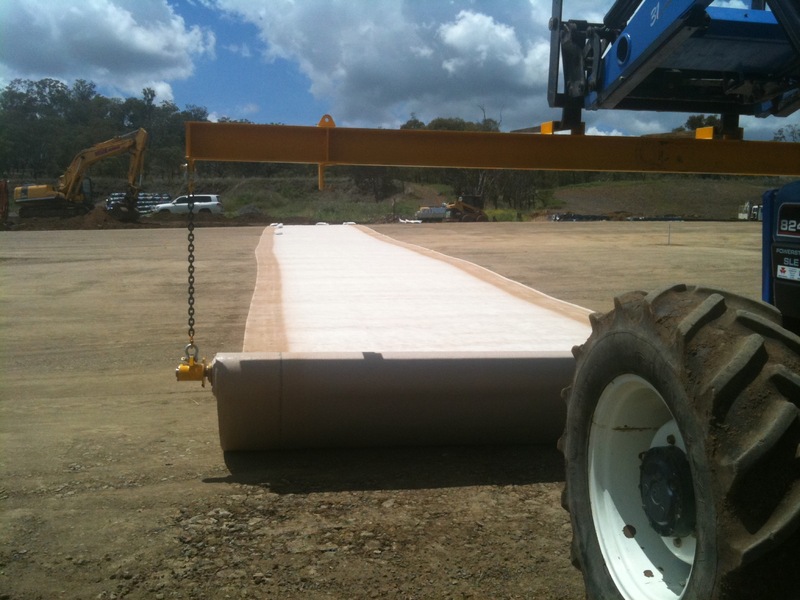 Additional benefits include the ability to reduce cover to landfill caps by overcoming desiccation issues, provide a positive gas barrier layer and extend the range of sealing applications in a wide range of soil types. Additional supporting information is available from Global Synthetics.